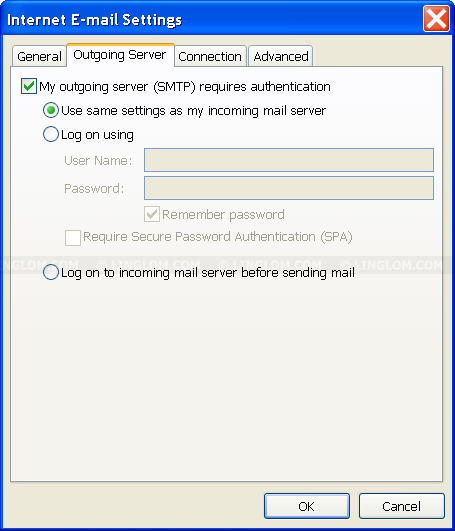 In this post, I will show how to configure Microsoft ISA 2006 to allow POP3, SMTP protocols (for incoming and outgoing messages respectively) which are used by Gmail. 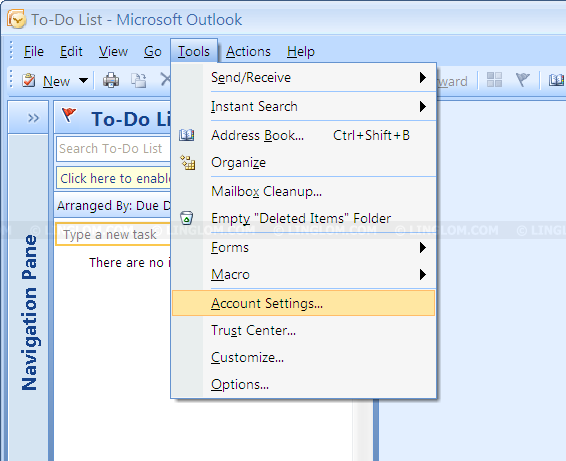 Then, you will see how to configure Outlook 2007 client to send and receive email from a Gmail account. Note: If you don’t have internal DNS, don’t forget to create an access rule to allow DNS protocol. Otherwise, you won’t be able to receive emails. 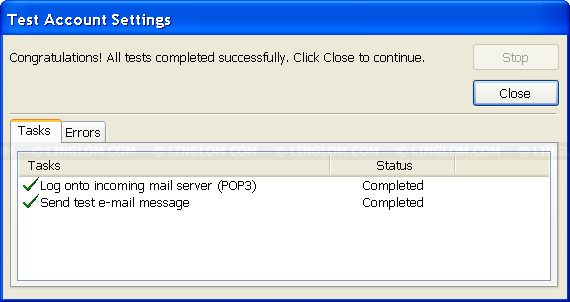 Once you have configured ISA Server, next we continue to Outlook 2007 client. 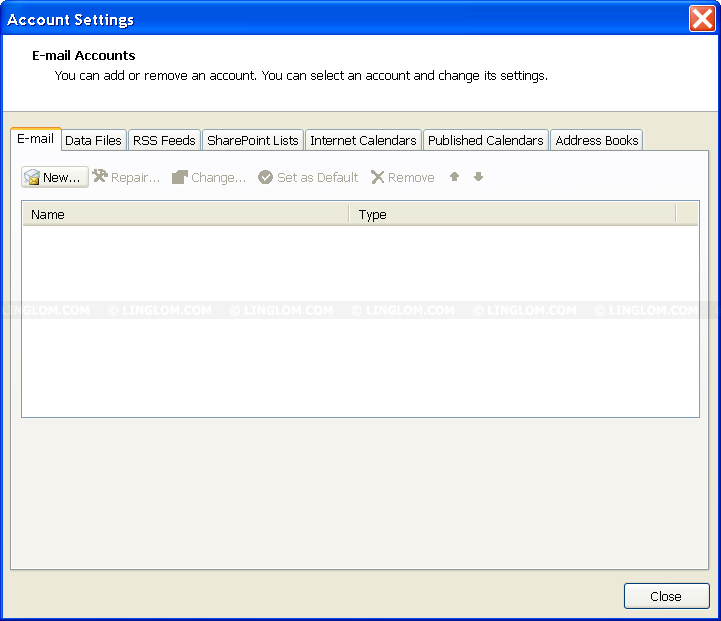 Open Microsoft Outlook 2007, select Tools -> Account Settings. On E-mail Accounts, click New on E-mail tab. 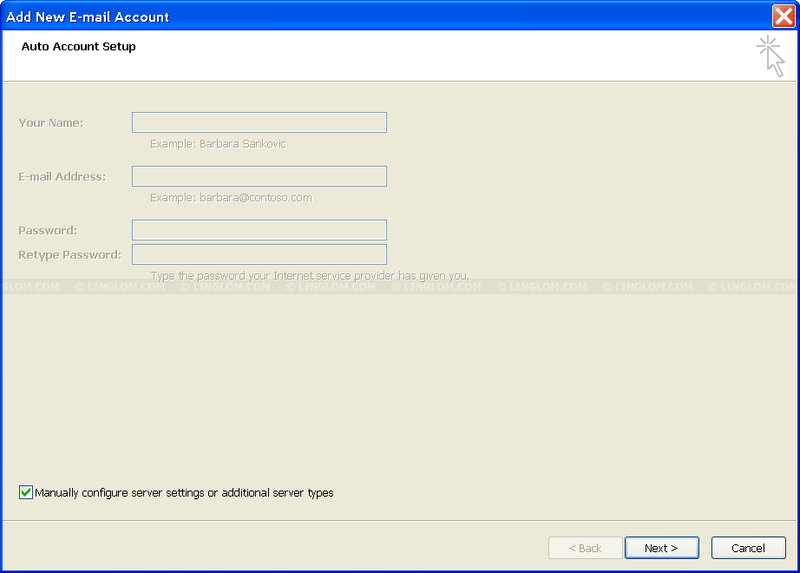 On Auto Account Setup, check Manually configure server settings or additional server types and click Next. 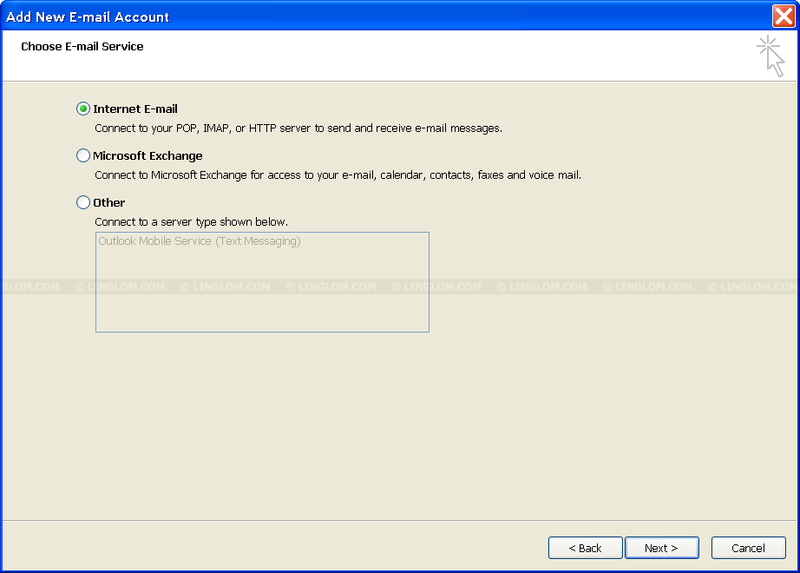 On Choose E-mail Service, select Internel E-mail. 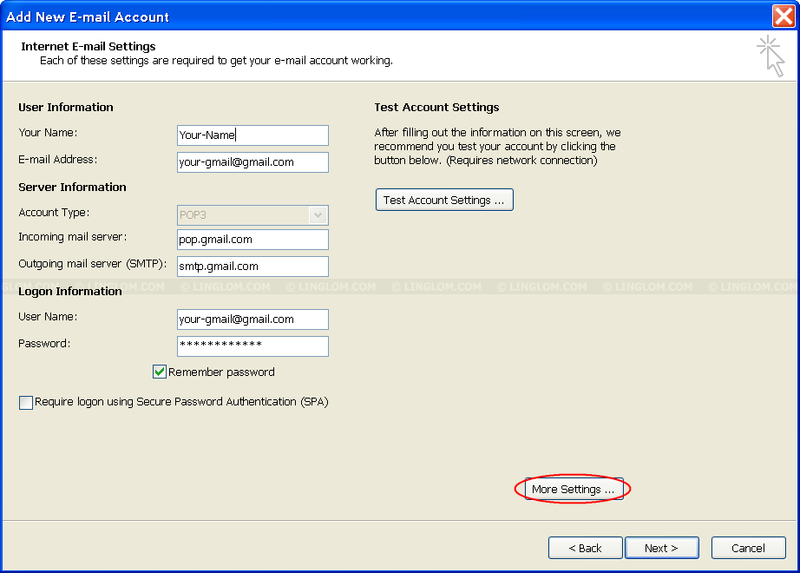 Other sections (User and logon information) are your personal Gmail’s account information. Once every fields on this page are filled. Click More Settings button to configure secure connection. 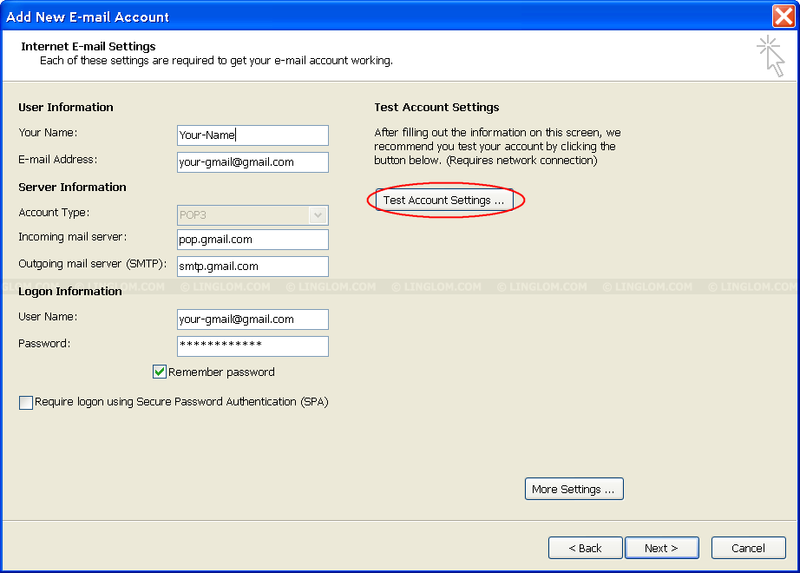 On Internet E-mail Settings, select Outgoing Server tab and check My outgoing server (SMTP) requires authentication and select Use same settings as my incoming mail server. On Internet E-mail Settings, select Advanced tab. 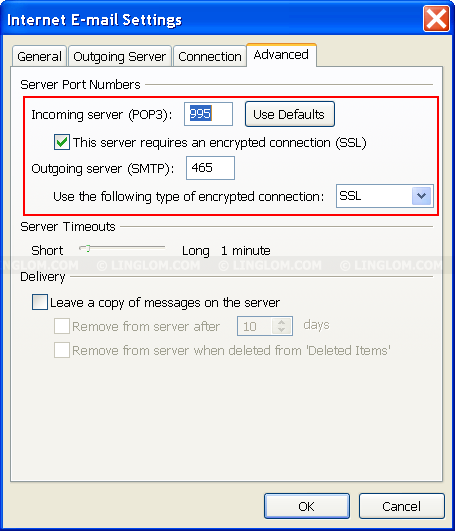 Verify that incoming server port number is set to 995 and the check box this server requires an encrypted connection (SSL) is checked. Also, the outgoing server port number is 465 and use the following type of encrypted connection is selected to SSL Then, click OK. If these isn’t any error, the status will be completed. 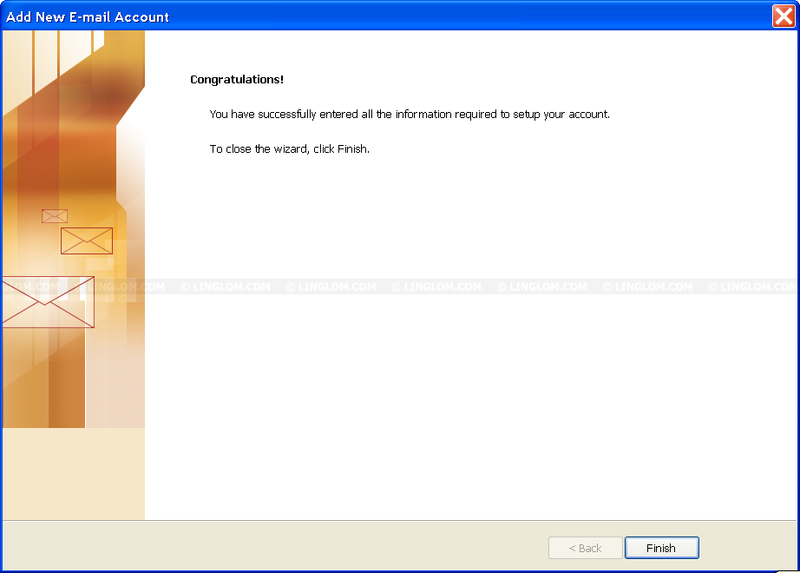 Congraulation, you have just create Gmail account on Outlook 2007 and verify that it can send/receive email through ISA Server.